MEDINA, Ohio, Jan. 24, 2017 /PRNewswire/ -- RPM International Inc. (NYSE: RPM) today announced that Charles A. Ratner, 75, has retired from its board of directors after almost 12 years of service to the company. Ratner served on the board's compensation committee. "It has been an honor and a privilege to work with the other experienced business leaders on RPM's board and with its talented executive team. I am proud to have contributed to RPM's growth and success," Ratner stated. "I have always been impressed with RPM's dedication to its core values of integrity, commitment to the community and responsible entrepreneurship. It's a great company with a great future." Ratner retired from Forest City Realty Trust, Inc. (formerly Forest City Enterprises, Inc.), on December 31, 2016, after 50 years with the diversified real estate development company. He was most recently Forest City's chairman, a post he was elected to in 2011. 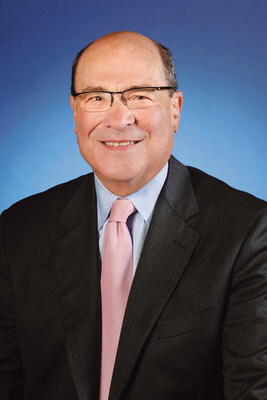 Prior, Ratner served as president and CEO of Forest City since 1993 and 1995, respectively. "During Chuck's tenure, RPM's annual sales have nearly doubled from $2.6 billion to more than $5 billion, and the annual dividend paid to our shareholders has increased from $0.60 to $1.20 per share. His contributions played an important role in this strong performance," stated RPM Chairman and CEO Frank C. Sullivan. "On a personal note, I will always be extremely grateful to Chuck for the wise counsel he has provided me over the years, particularly concerning difficult decisions and significant challenges. On behalf of all of RPM, I wish him well in retirement."